Yes, worms. I honestly think you should start your own worm farm. It’s character building. 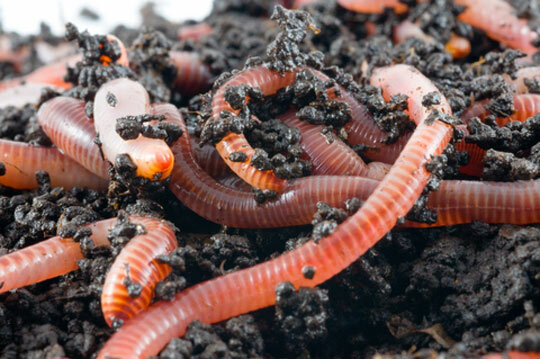 Here’s why: worms break down organic matter and remove contaminants, leaving in their place a nutrient-rich, water-soluble, organic fertiliser and soil conditioner. 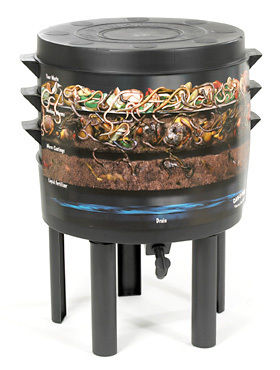 Worm farms and living compost-specialist worms are available for purchase at most nurseries and hardware stores. You set up the worm farm (I have one made of four tiers that the worms can choose to move around). You put in your worms (specific composting worms, not just regular earthworms – you’ll probably need 1000 to get started – they’re usually sold in boxes of 500 or 1000). You put in your scraps. The worms eat the scraps, then poo out magic castings that are like garden gold. As the tiers fill up, you add a new one and begin to fill it up with scraps. The worms move upward as they process your waste. Over time, you can take the lowest level tier, empty the castings for use around the garden (dig them in and/or dilute with water and sprinkle around via watering can), then add the now-empty tier to the top and begin filling again. In this way, the tiers rotate regularly and the worms are constantly moving through the system. Kids love the process of feeding the worms, seeing the worms, seeing the food waste break down and change because of the worms. A happy worm farm doesn’t smell much at all. Mine lives in my carport (to avoid excessive heat in summer) and we never notice it when getting in/out of the car. Raw fruit and vegetable scraps. 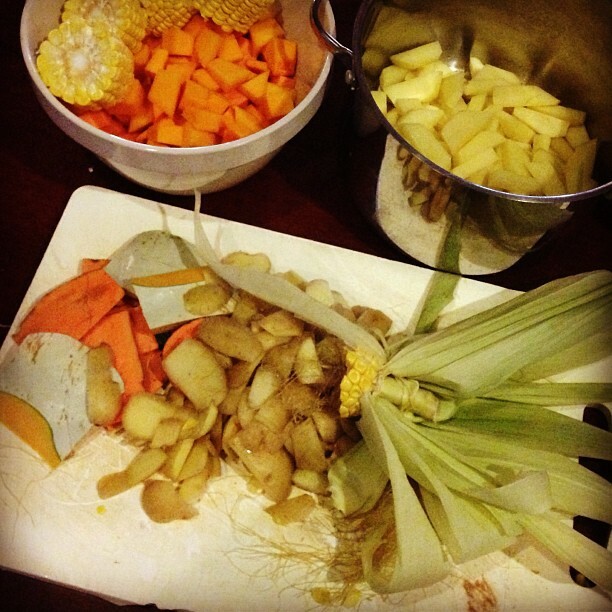 Skins, cores, soggy/bruised/mouldy bits from the bottom of the school bag, fruit bowl, or fridge vegie drawer. Tea bags and coffee grinds from the plunger (I often wonder if this gives our worms a buzz?!). You can even throw pet hair in! 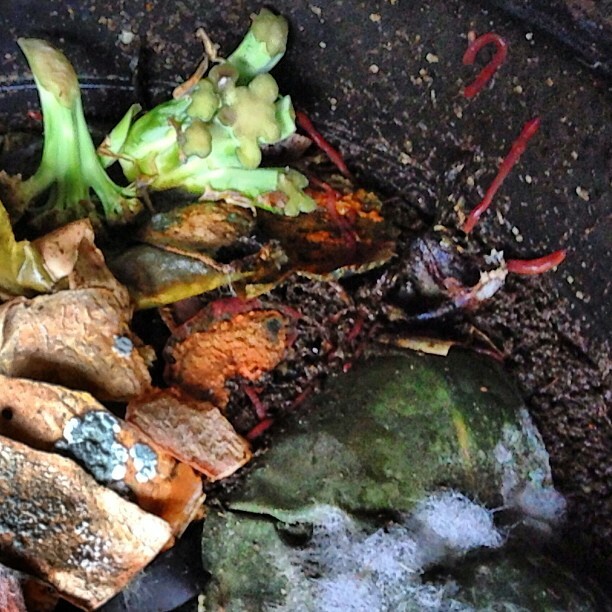 Food, green and paper waste make up about 60 per cent of our household waste, so using a worm farm to process your organic waste can make a significant difference. Onions, tomatoes and citrus should be avoided (a tiny bit is okay, but these are acidic foods, so keep it to a minimum). Steer clear of meat, dairy products and bread (most likely to putrefy and attract insects, particularly flies). Keep your worm farm out of direct sunlight/heat. They prefer (and are most active) when maintained at 15–25°C. Add green waste (such as lawn clippings) sparingly, as these are quite tough for the worms to process and more likely to overheat the worm farm. Keep the farm moist, especially in the early days. You may want to use six layers of newspaper or the side of a cardboard box that you’ve soaked in water to lay on top of the farm to reduce evaporation. The worms will eat these paper-based products, so this is also a good holiday strategy if you plan to be away for over 10 days. Watch the acidity of the worm farm. Scattering crushed egg shells or a small handful of garden lime every 3-4 weeks will help to keep the worm farm at a happy pH level for the worms, reducing mould growth, and also deterring insects. Believe it or not, a worm farm can even process all the poo of your family dog. There’s one caveat attached: you can’t feed them anything else. Actually, maybe there are two because you also can’t feed them ‘fresh fodder’ for 5 days after worming your dog (because you are routinely giving your dog something to control intestinal worms, aren’t you?). In my experience, the worms do a great job on a dog-do-diet, provided the poo is moist (that is, collected at least every 48 hours and not left to dry out). It saves putting the dog poo in plastic and then adding both to landfill. You had me at ‘dog poo’. Will this work with the commercial worm farms they sell at Bunnings? Is there anything else that’s needed for a poo-only diet? Sounds like magic if it works. IT IS MAGIC! Yes, absolutely. I have a Can-O-Worms set up with a box of 1,000 worms from the big green shed and they really do plough their way through the dog poo. Just. Like. That. The only thing needed for a dog poo diet, is dog poo. It’s that easy. It will take the worms a bit longer to process that a standard vegie scraps set up, so if you have lots of dogs, you might want multiple farms. Remember not to put in poo for 5-7 days post-intestinal worming!